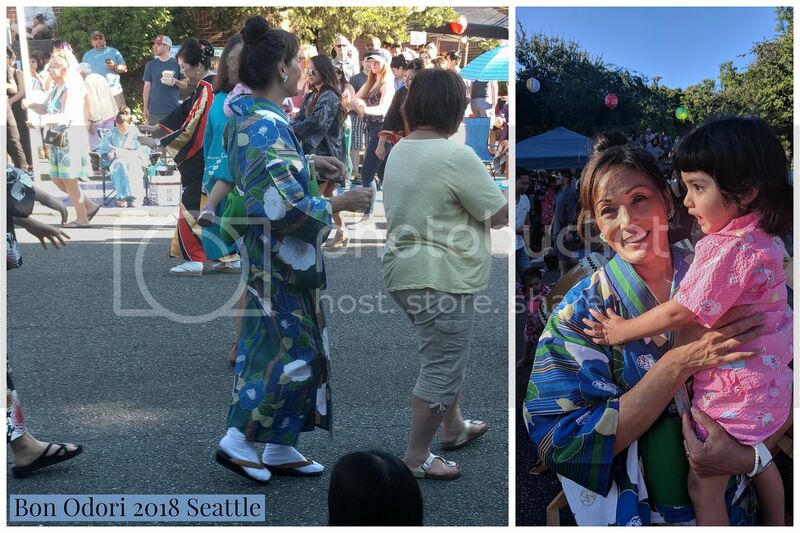 Konnichiwa, I enjoyed wearing and dancing in my new Yukata Kimono at this years 2018 Bon Odori. The colors were beautiful on a nice day in Seattle. Arigatougozaimasu. Hello! My name is Yicong, I'm currently living in Portland, Oregon. At these days, Cherry blossom trees are blooming so well at Portland. I really want to take a shot with those pretty sakura, and that's why I purchased my first yukata set "Ohanami" at Shimazakura. This was a wonderful experience of shopping kimono, the pattern of it is very cute. I like the color of my "Ohanami," and I think the quality is very good as well. All of my friends said that this yukata looked so pretty on me. So I'm here sharing these photos to you. And, thank you, Shimazakura! I'll definetly come back and buy more kimonos! 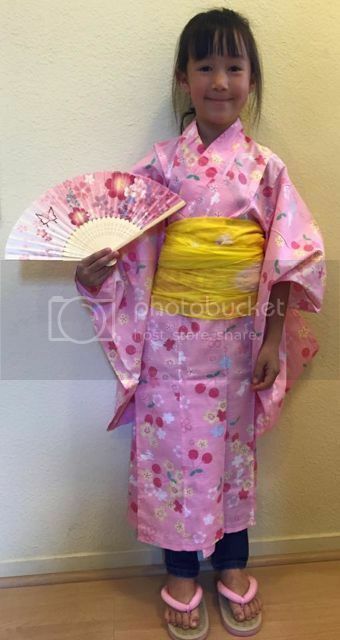 Here are the pictures of my 7 year old daughters in their new Yukatas. Shimazakura team, Thank you so much for adding a personal touch to my shopping experience! Tha shipping was really fast! I really appreciate the hand written note and gift! It is the perfect gift to go with my yukata! The koshihimo matched nicely and it is a great quality! I cannot wait to wear it this summer! Great communication and very accommodating. I hope to be a repeating customer and hopefully I can catch more items before they are "sold out"! You have very nice selections and it would be nice if you can stock more tabi socks! I know it wasn't easy to dress her but you did a great job!! Thank you so much we really appreciate your kindness and patience!! 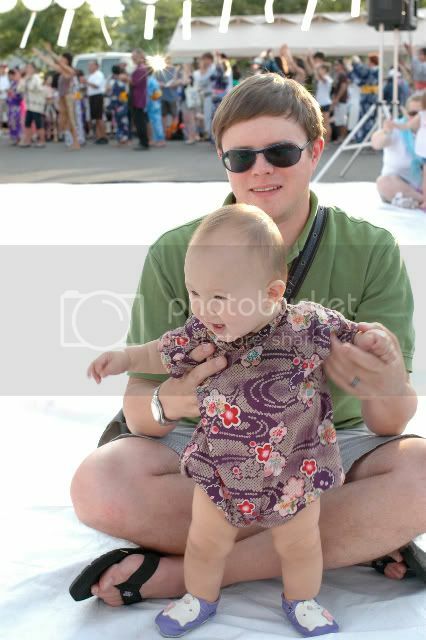 Her father is part Japanese and is deployed right now and he loves the kimono! Thank you again! Thank you for my very first Jinbei. I will cherish this with gratitude. Namaste. She is 10 months old and is enjoying the her first Sakura Festival. Her favorite part was playing with the water balloons and handing them to other people. She got lots of complements on her jinbei. Thank you your all that you do. Good Morning, Thank you for the outstanding product. I wore my kimono with my hakama and shitagi to my iaido class. My senpai approved. Arigatougozaimasu! Konnichiwa Shimazakura san! Today, I picked up my samue. It looks really nice. Thanx a lot - and of course for your gift. Arigatou gozaimasu! Much success and all the best. Just finished our summer Bon Odori here in Seattle. The weather was beautiful along with all the colorful kimonos. 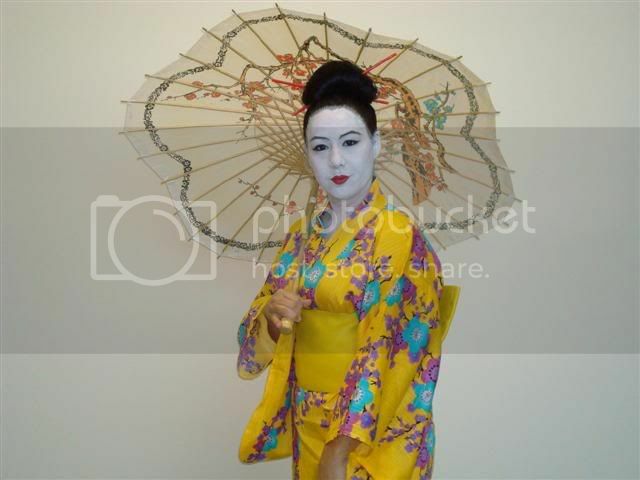 Here are a few photos of Bon Odori along with a few at the Seattle Japanese Gardens. Here's my daughter in her beautiful new Jinbei, all dresses up for my school's multicultural night. She was a big hit! Thanks so much! Konnichiwa! 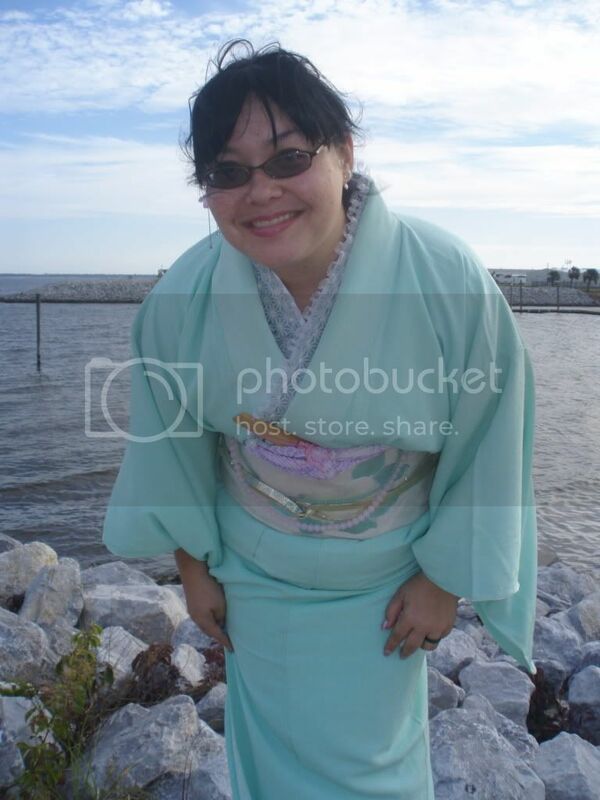 We had fun with our recent purchase of a kimono from your lovely shop. 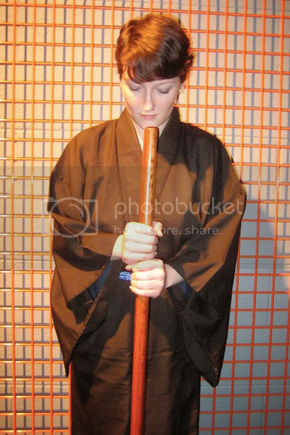 Here is a picture of my wife "cosplaying" Rukia Kuchiki of the anime BLEACH (366 episodes!!) Have a great day! 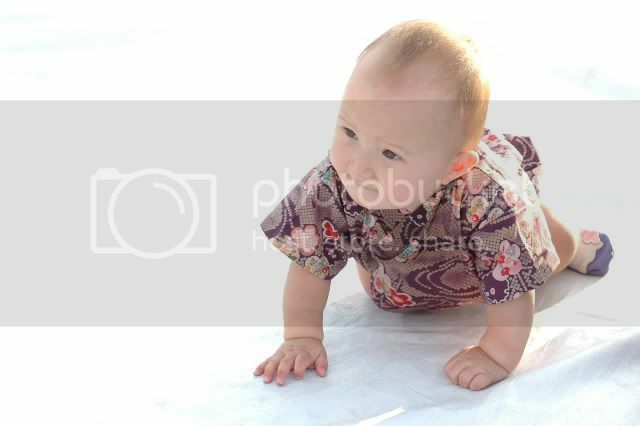 My daughter's first Jinbei and already she really likes wearing it. She loves it. Thanks. Thank you very much! We loved our daughter's first Jinbei! It is really good quality and well made. It was also shipped to us quickly. She was also very comfortable in it an was able to crawl all over the place! Our daughter loves to wear yukatas. It is a special way for he to connect with her heritage. Hello, Thank you very much for the great & personal service! I love the handwritten note! I hope you enjoy the photos attached. 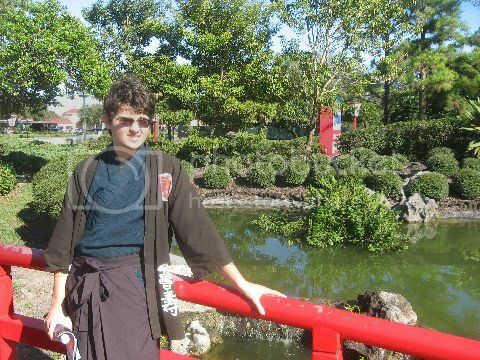 This is a picture a friend took of me a t the Japanese Friendship Gardens, my boyfriend got this for me off of this site a year ago. 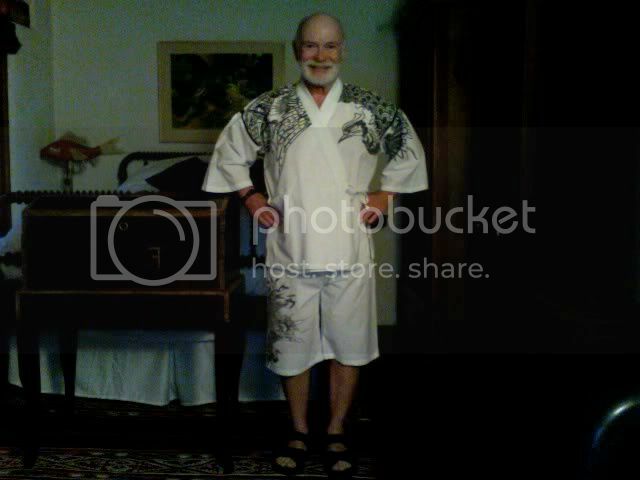 This is my very first yukata. It was sent to me by a very good friend of mine who is now my kind and loving husband. I love it, thanks again and I will continue to check up on the site for more beautiful kimonos. Kimono is not of any brand. It is my work. Some goes for the hair equipment. Konnichiwa! This is our daughter Naomi Kako Maddocks. She is 2 months old. We love the kimono and can't wait to purchase another one. Here is a photo of the pink nagoya obi and obijime I recently purchased. Dear Shimazakura. 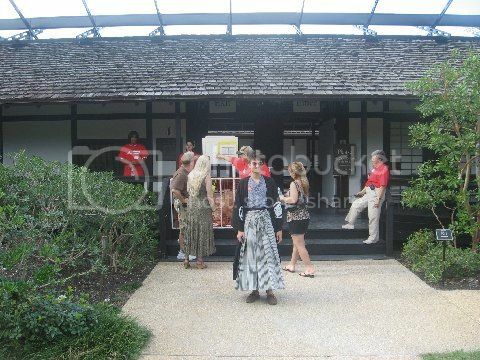 Here is a photo of my husband tetsuo and me in a Japanese garden. I love wearing kimono. Thank you! Japanese Garden Photo in Southern Japan. 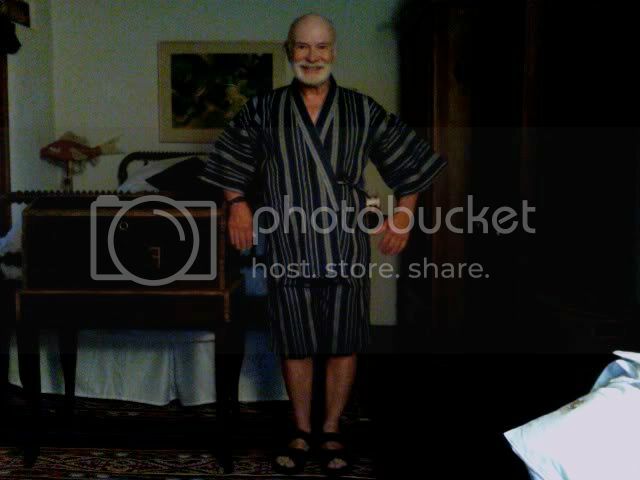 I live in the high desert (7,400feet) in Santa Fe New Mexico, and the Jinbei is perfect for afternoon and evening wear around the house, patio, or immediate compound of houses in the late spring, summer, and early fall. First Butterflies in the garden. Hi, Shimazakura. 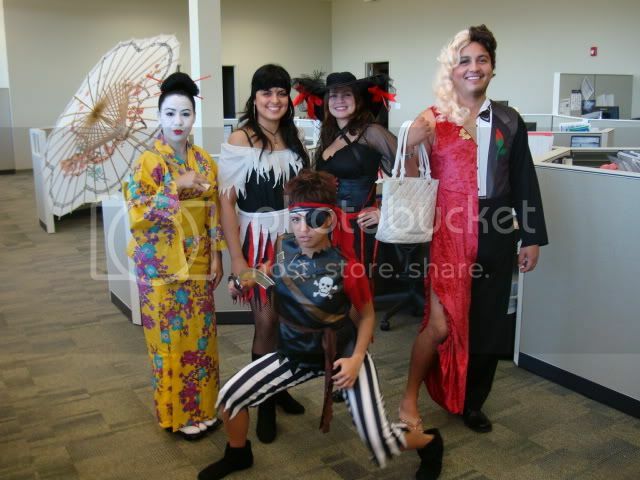 Here are my pictures about my costume event. Here are some photos of the kimono I bought from you guys a while ago. 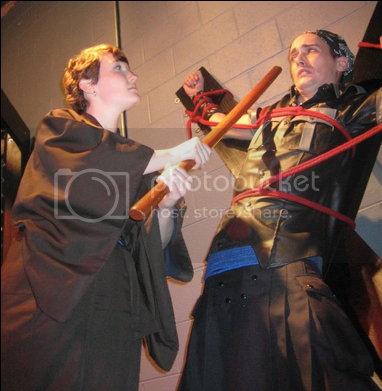 It was used in a small theatrical performance. 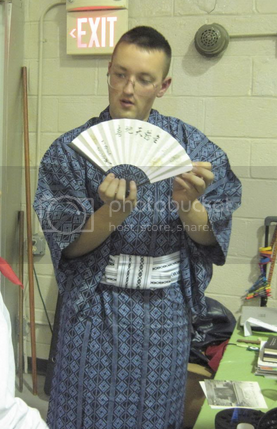 Mostly I use it as reference material while I am trying to design, make, and sew my own kimono for a 42 year old male, 5'7", weighing 250#....quite a challenge. It is outstanding set of clothing! I definitely look forward to doing more business with you all. Arigato! 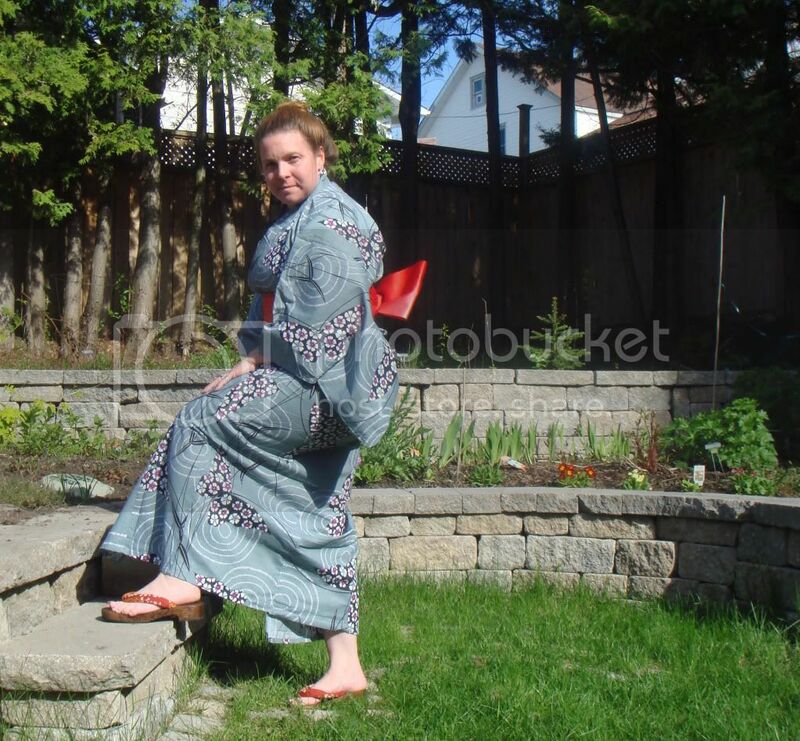 Yukata for Halloween? I was passing out candy this past year for Halloween and I seriously didn't have anything else to wear so I grabbed my yukata and stuck a robe under it to keep me warm. Believe it or not, it gets cold in Arizona!